Shyrell Reed regularly defends physicians, nurses, hospitals, dialysis centers, long-term care facilities, and other health care providers against medical malpractice, catastrophic injury, and wrongful death claims in both state and federal courts. She has represented health care providers in a wide variety of specialities, including: anesthesiology, cardiology, colon and rectal surgery, dentistry, emergency medicine, family practice, gastroenterology, general surgery, infectious disease, internal medicine, neurosurgery, nursing, obstetrics and gynecology, oncology, ophthalmology, orthopedic surgery, otolaryngology, pediatrics, psychiatry, radiology, and urology. Shyrell also represents health care providers before various state licensing boards of the Virginia Department of Health Professions. On multiple occasions, Shyrell has been recognized for her trial successes in Virginia Lawyers Weekly’s “Million Dollar Defense Verdicts”. 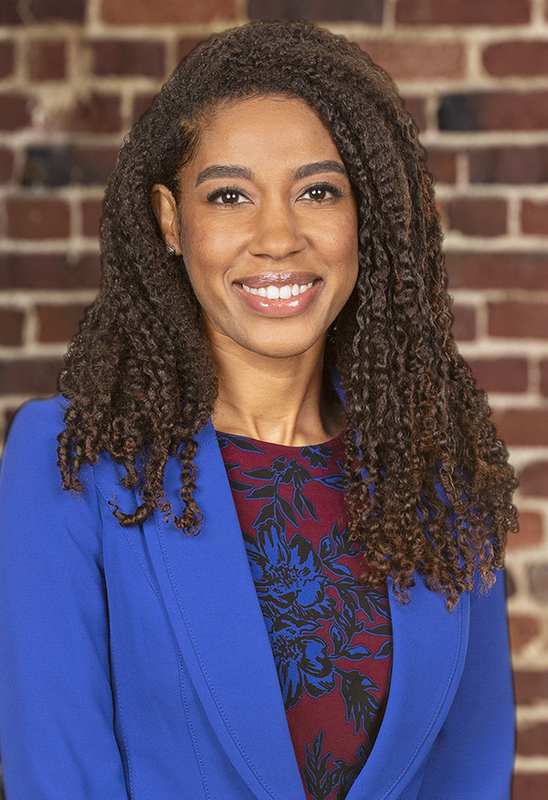 She also has been repeatedly selected as a “Virginia Rising Star” in the field of medical malpractice defense – a distinction presented to less than 2.5% of attorneys in Virginia. Shyrell further manages the firm’s workers’ compensation cases in Virginia. She regularly defends employers and insurance carriers against workers’ compensation claims before the Virginia Workers’ Compensation Commission and she handles appeals to the Full Commission and the Court of Appeals of Virginia. Forced non-suit in the County of Chesterfield, Virginia against a hospital after arguing a Motion to Strike Plaintiff’s Expert Designation and Motion for In Camera Review of Plaintiff’s Written Expert Certification. The case involved allegations that hospital staff caused the traumatic removal of the plaintiff’s Foley catheter after a cardiac bypass procedure. Dismissal of an infectious disease physician on a renewed motion to strike at trial, and defense verdict of the remaining four defendant physicians in the City of Richmond, Virginia. Throughout the work-up of the case before trial, a dismissal of the hospital entities and multiple other physicians were obtained. The case involved allegations that the decedent’s death was caused by the failure to diagnose and treat a CNS infection. Dismissal of a suit in the City of Richmond, Virginia against an internist and physician assistant wherein the plaintiff alleged falsification of medical records and the unauthorized dissemination of protected health information. The plaintiff thereafter appealed to the Supreme Court of Virginia, but the Court found no reversible error in the judgment and refused plaintiff’s petition for appeal. Dismissal of a suit in the City of Richmond, Virginia against a hospital wherein the plaintiff alleged violation of various constitutional rights and negligence. Multiple dismissals of suits in the City of Richmond, Virginia against a hospital wherein the plaintiff alleged falsification of medical records. The plaintiff appealed to the Supreme Court of Virginia, but the Court found no reversible error and refused plaintiff’s petition for appeal. Dismissal of a wrongful death suit in the County of Chesterfield, Virginia against a hospital and ultimate dismissal of the plaintiff’s appeal to the Supreme Court of Virginia. Dismissal of a suit in the City of Hopewell, Virginia against a hospital wherein the plaintiff alleged that the hospital failed to appropriately treat the plaintiff’s infected finger and inappropriately discharged the plaintiff. The plaintiff thereafter appealed to the Supreme Court of Virginia, but later withdrew his appeal. Forced non-suit and final dismissal of a suit in Henrico, Virginia against a nursing home after filing multiple dispositive motions. The case involved allegations that the decedent sustained a non-displaced tibial plateau fracture during a transfer and an improper discharge from the facility. Forced non-suit and final dismissal of a suit in the County of Chesterfield, Virginia against a hospitalist after filing and arguing just before trial a Motion to Strike Plaintiff’s Expert Witness Designation. The case involved allegations that the defendant failed to properly address, diagnose, and treat the decedent’s pressure ulcers and infection that caused her death. Defense verdict for an otolaryngologist and his practice group in Richmond, Virginia involving the allegations that defendants negligently caused an esophageal perforation and a myriad of other complications as a result of an attempted esophageal endoscopy. Defense verdict for an urogynecologist and her medical group in Richmond, Virginia in which the plaintiff claimed defendants were negligent in not offering further surgery to improve her persistent post-surgery urinary retention and in not obtaining a second opinion outside of the defendant urogynecologist’s medical group. Plea of Sovereign Immunity sustained in the City of Richmond, Virginia on behalf of a nursing home administrator resulting in dismissal of the administrator from the case with prejudice. Forced non-suit and final dismissal of a suit in the City of Colonial Heights, Virginia against a nursing home, administrator, and nurse after threatening to file a variety of pre-trial motions. The case involved allegations that the decedent sustained multiple fractures from a fall at the defendant nursing home and died the day after the fall. Dismissal of a dental case with prejudice in Bowling Green, Virginia wherein the plaintiff alleged the defendant dentist was negligent during surgery of extractions of the plaintiff’s teeth. Forced non-suit and ultimate dismissal of a suit in Richmond, Virginia against a nursing home and nurse after filing various pre-trial motions. The case involved allegations that the defendants failed to appropriately monitor the decedent’s medical condition, which led to her aspiration and death. Defense verdict for a general surgeon in Hampton, Virginia in which a 72-year-old claimed that a subtotal colectomy was unwarranted to treat her two precancerous polyps. Plaintiff claimed the defendant did not obtain informed consent and the surgery caused her to suffer fistulas and chronic diarrhea and undergo additional surgeries. Defense verdict for an emergency room physician in Hampton, Virginia involving the death of a 29-year-old who was stabbed by a “dragon sword” in the internal iliac artery. Defense verdict in Mecklenburg, Virginia in an otolaryngology case alleging severe emotional distress from an unauthorized breast exam. Defense verdict in Chesapeake, Virginia in a matter in which the plaintiff claimed a 69-year-old man died of liver failure from alleged toxicity from Crestor. Defendant did not order liver function testing as recommended by the Crestor package insert. Represented various insurance carriers against injury by accident and occupational disease claims before the Virginia Workers’ Compensation Commission. Represented major plumbing wholesaler in North America and multiple nursing and assisted living facilities against multiple workers’ compensation claims throughout Virginia. Represented major national retailer in numerous workers’ compensation claims and subrogation cases filed throughout Virginia and advised on risk management strategies. Represented uninsured employers against workers’ compensation claims and defended against show cause orders for failure to insure liability for workers’ compensation. Advised Fortune 100 Company as to coverage and indemnification issues under the Virginia Workers’ Compensation Act.